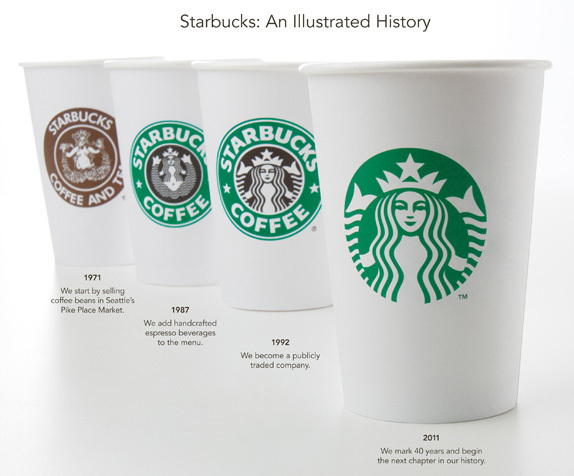 From the start, we wanted to recognize and honor the important equities of the iconic Starbucks logo. So we broke down the four main parts of the mark — color, shape, typeface and the Siren. After hundreds of explorations, we found the answer in simplicity. Removing the words from the mark, bringing in the green, and taking the Siren out of her ring. For forty years she’s represented coffee, and now she is the star. The details came next. The 20-year old logo was built in the early days of AutoTrace and it showed — points everywhere. We improved composition, brought in more sophisticated stroke width and spacing and a smoother line flow. When it came to her — the Siren — we enhanced her form in subtle ways, smoothing her hair, refining her facial features, weighting the scales on her tail to bring the focus to her face. We enlisted the branding firm of Lippincott to help with these refinements, and give us a better global perspective on the entire identity system. Starbucks CEO Howard Schultz talking about the new logo. Starbucks needs no introduction but just in case: Founded in 1971 in Seattle, Starbucks is the world's leading coffee retailer with more than 16,000 stores in 50 countries (this despite numerous closings in the last year or so). 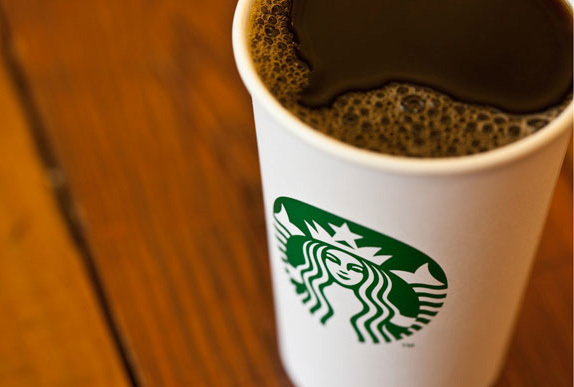 Starbucks also manages Tazo tea, Ethos water, and Seattle's Best Coffee. And, part of the reason why we are here today, Starbucks sells more than coffee and its stores offer more than coffee (Wiiii-Fiiii says I in an Oprah wail). Yesterday, Starbucks announced that beginning in March, to coincide with their 40th anniversary, their brand would be making a bold visual evolution. Namely (pun intended) dropping its name from the logo. The new identity has been developed in-house — Starbucks has one of the strongest internal teams in a big corporation — in partnership with Lippincott.